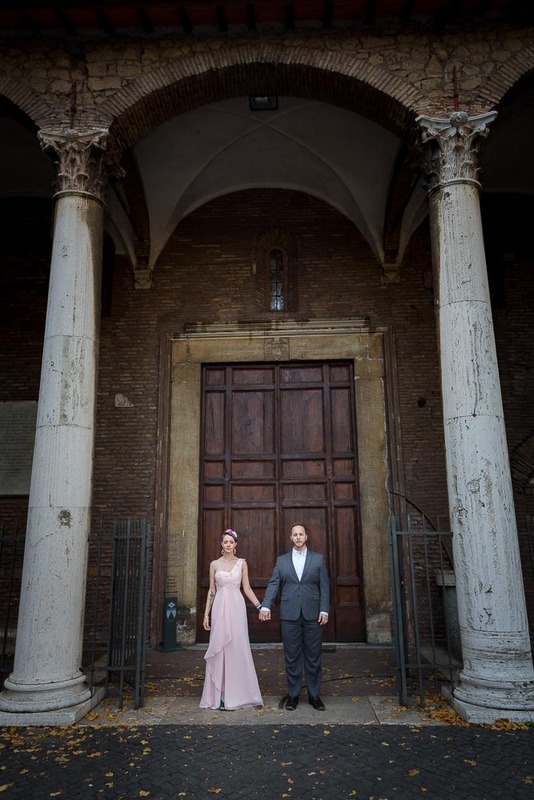 Celebrating a beautiful wedding vow renewal up on the Aventine hill inside Giardino degli Aranci. Where we set up a small private ceremony in the corner of the balcony terrace. 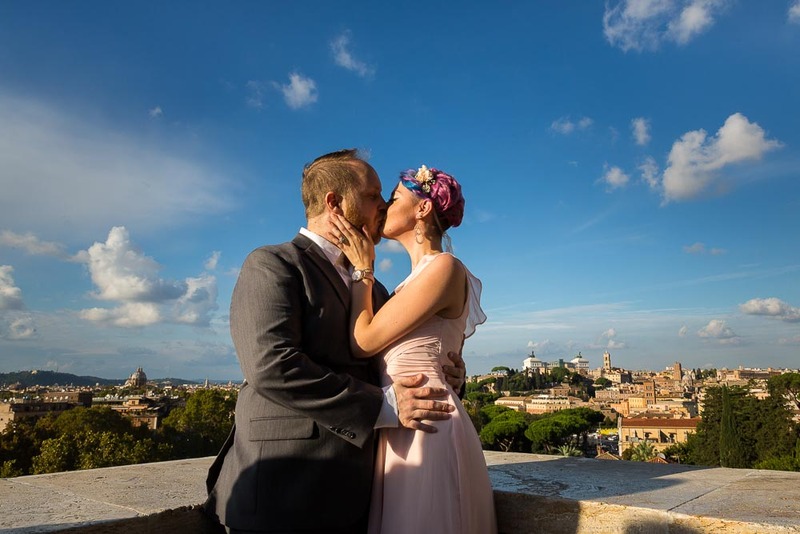 A romantic way to celebrate the wedding anniversary in Rome! 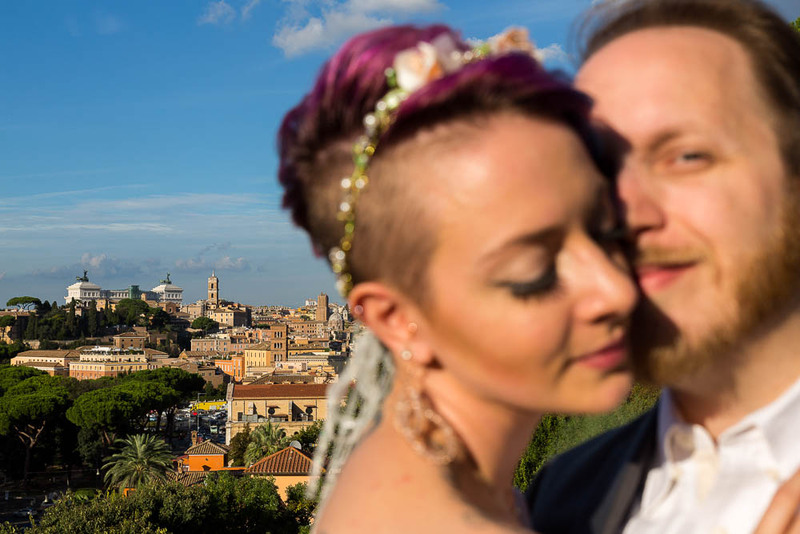 After the exchanging of the vows we walked around the park taking some nice pictures by the view with Saint Peter’s dome in the distance and into the garden itself among orange trees and green grass. 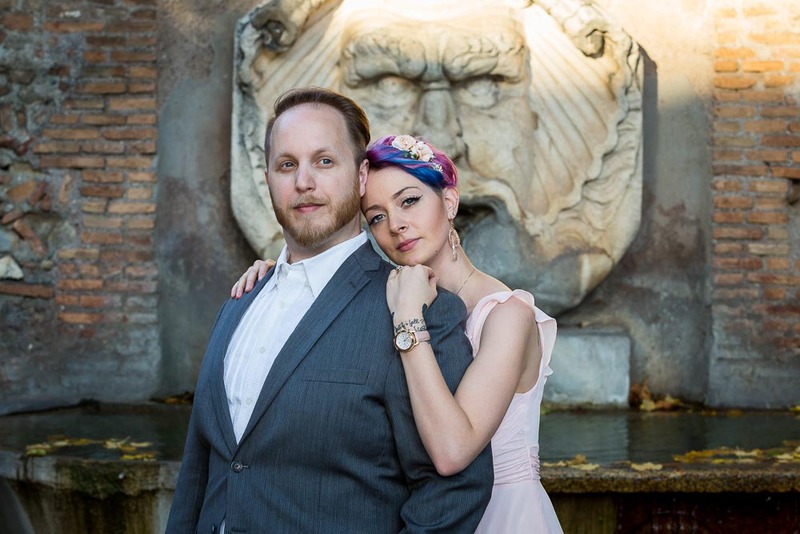 We also took some nice portraits using the ancient roman walls as background. The light shining in was just beautiful. The session ended outside the garden with a last set of photos by the entrance and by the water fountain in the square. 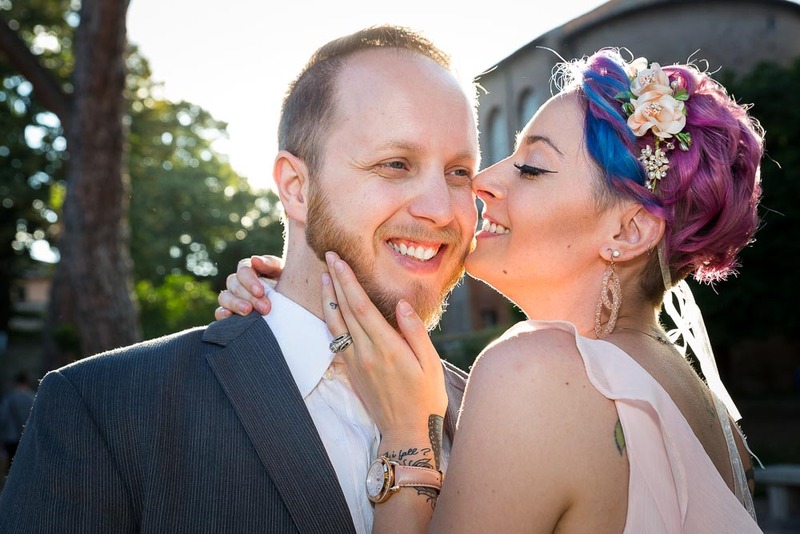 Wedding Anniversary celebrated with a private vow renewal in one of the most scenic locations: the Giardino degli Aranci park.